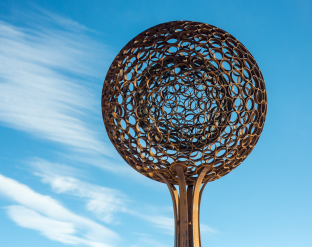 Glimpse, by Wendy Klemperer, was gifted to the City of Portland by William D. Hamill and Mary Louise N. Hamill in celebration of the new Jetport expansion in 2011. 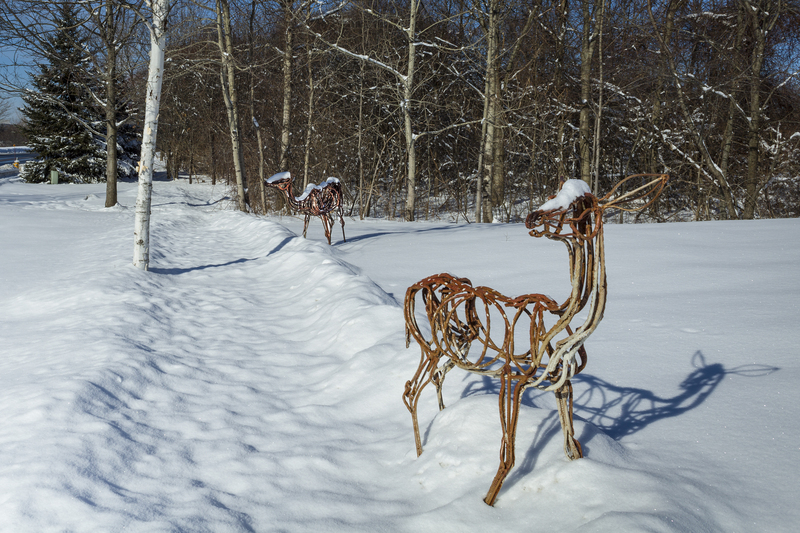 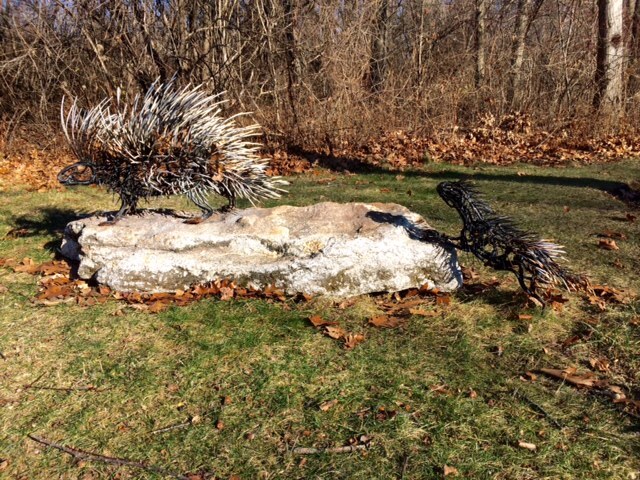 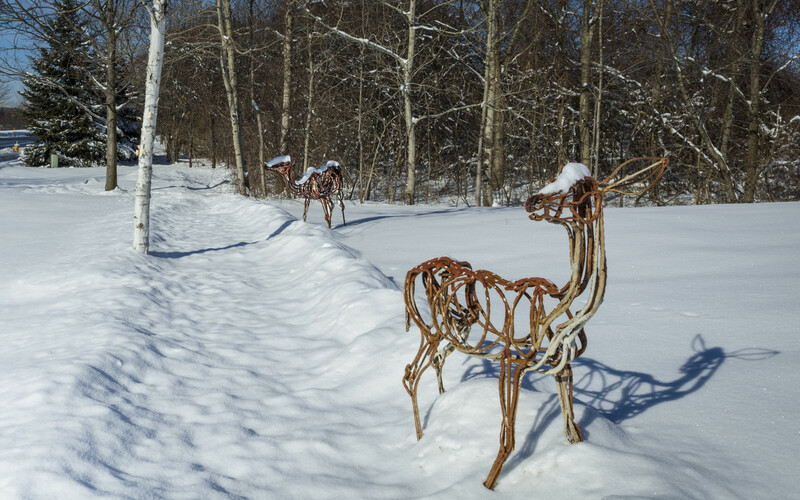 As you leave the Jetport, going towards Congress Street, you will glimpse this series of sculptures including a herd of deer, a porcupine, and a wolf along the roadside. 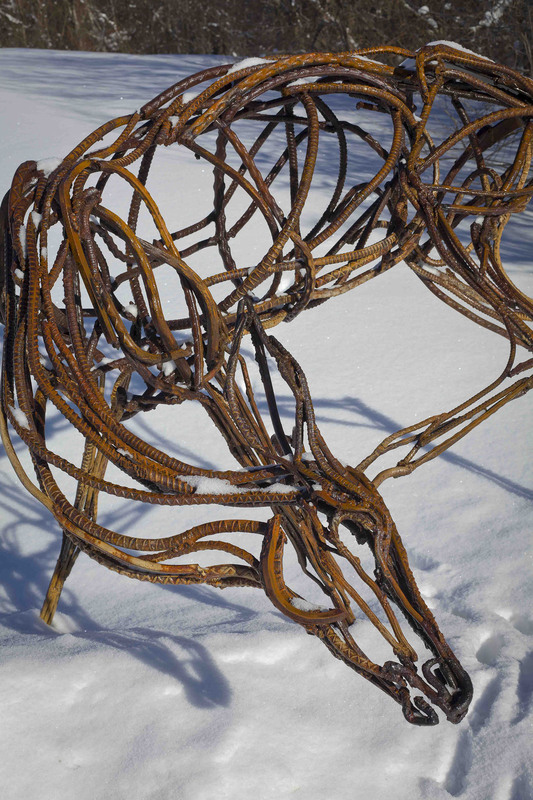 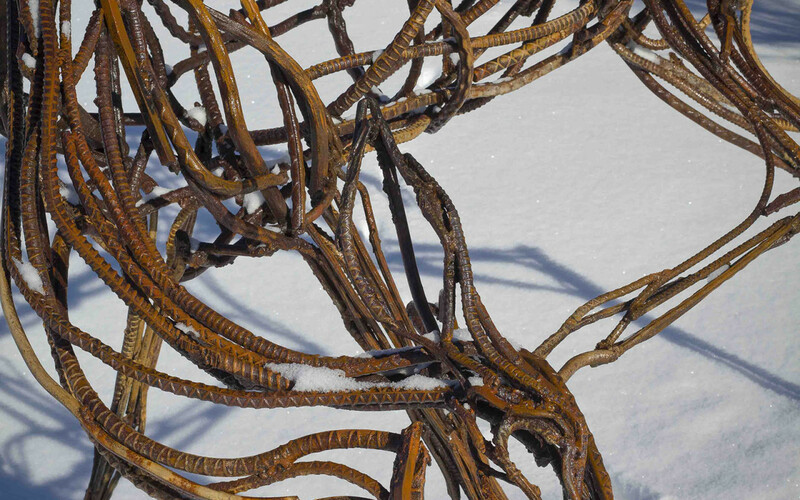 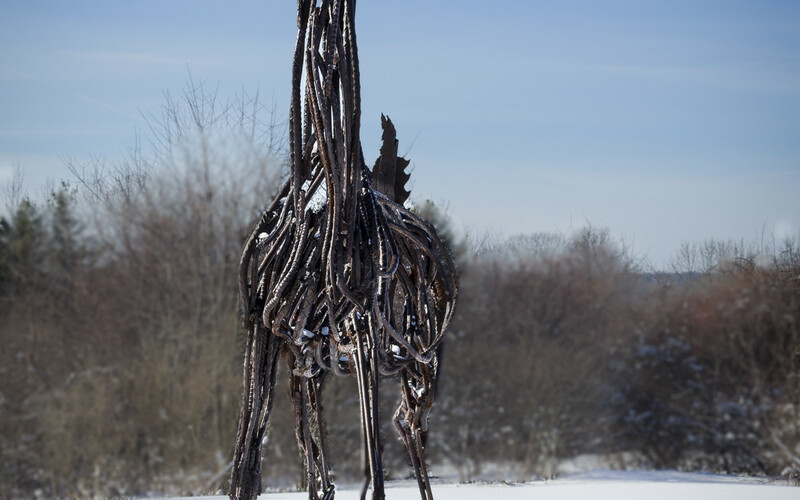 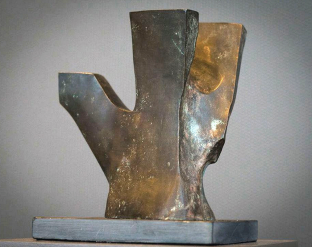 Using materials pulled from industrial salvage piles, sculptor Wendy Klemperer welds three-dimensional gestural sketches in steel. 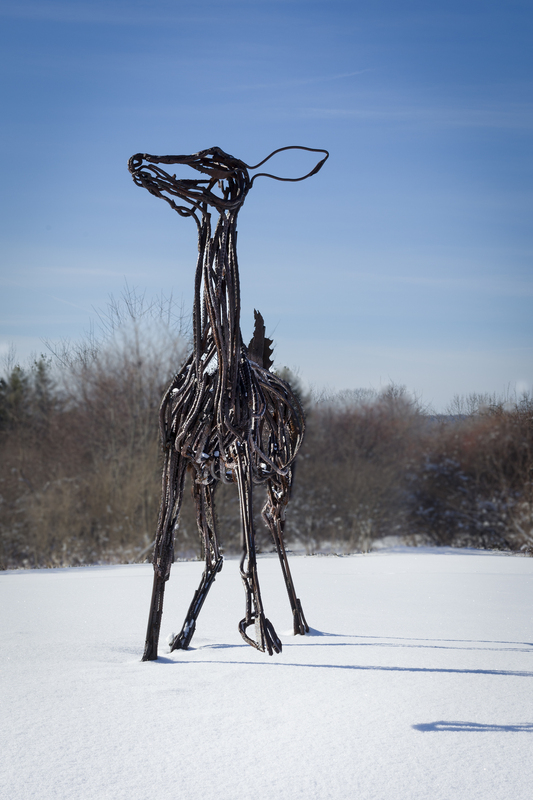 Some pieces are highlighted with enamel paint while others are left to weather. 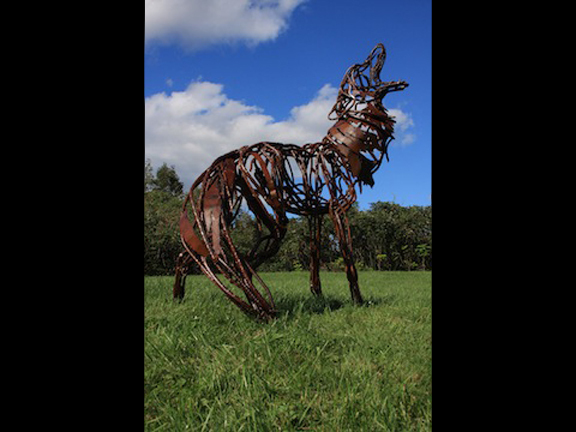 She explores the vibrant movement of animals, bringing new life to discarded materials. 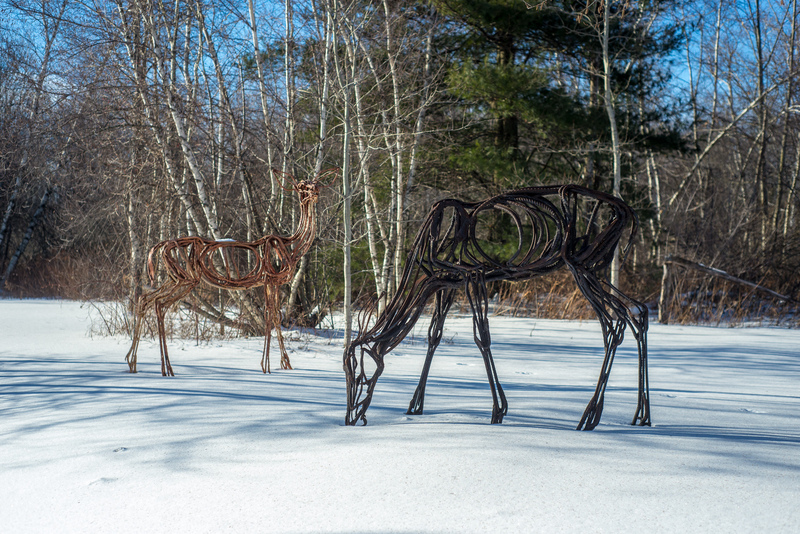 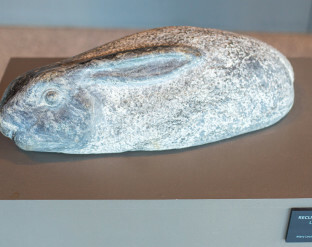 She states, “My sculptures use the body language of animals to express a feeling or state of being, with motion conveying emotion.” Animals are reinterpreted by the artist and take on mythic qualities reflecting the place wildlife holds in our imaginations. 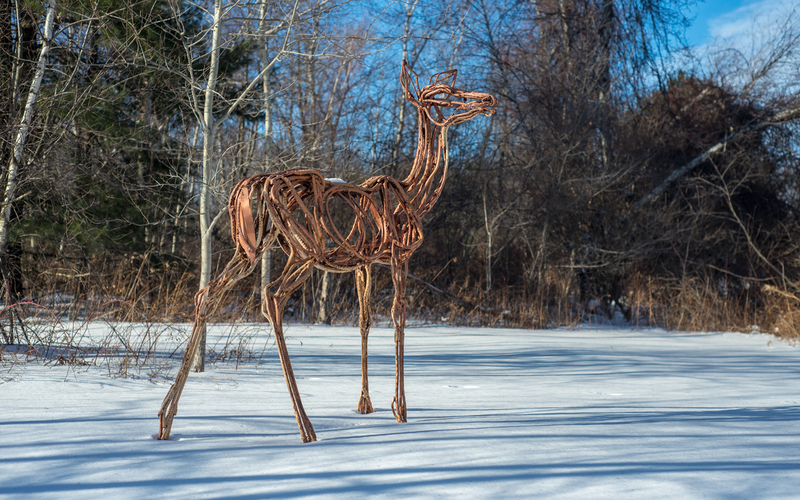 Wendy Klemperer was born in 1958. 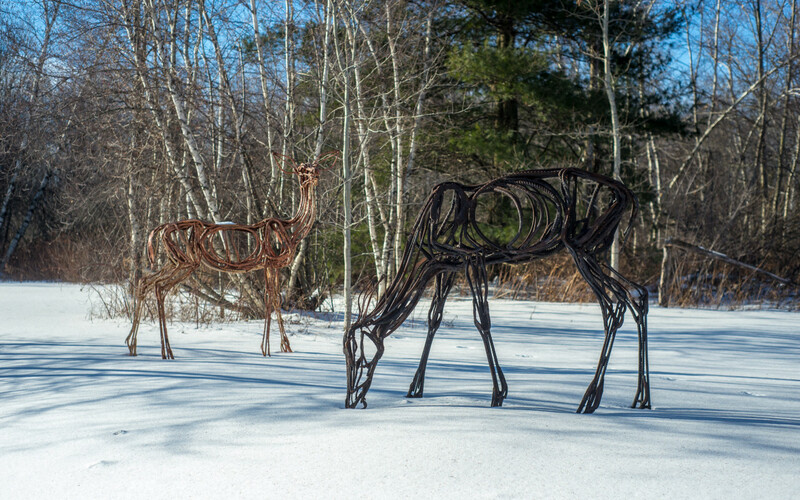 She attended Maine’s Skowhegan School of Painting and Sculpture in 1984. 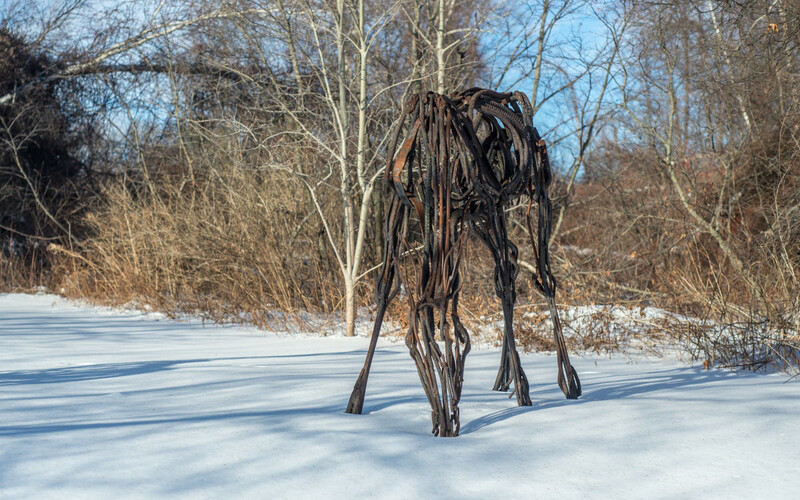 She graduated from Pratt Institute in New York with a BFA in Sculpture in 1983 and graduated from Harvard-Radcliffe College with a BA in Biochemistry in 1980. 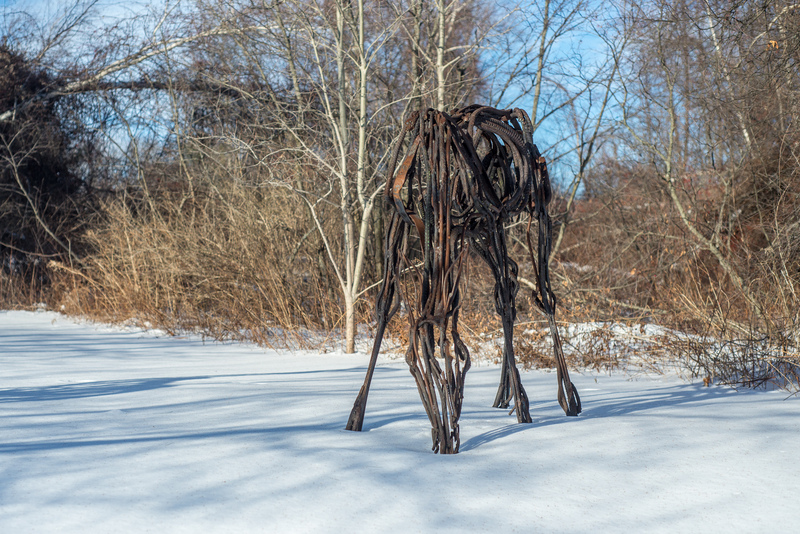 She has exhibited widely throughout the country and is included in both private and public art collections in Maine.